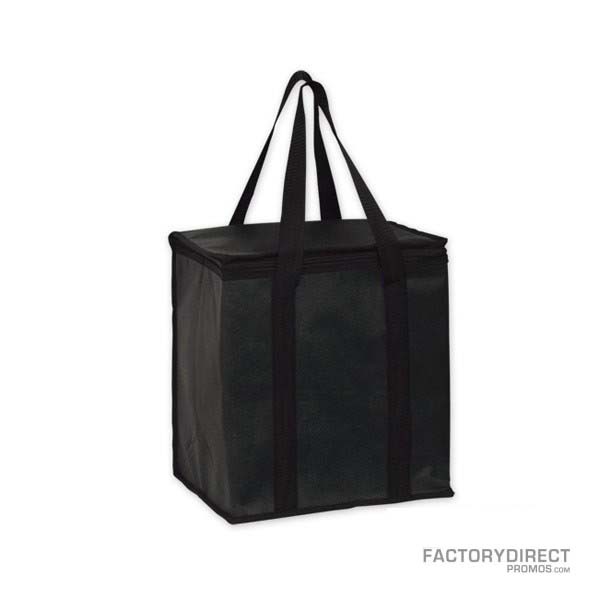 Customized reusable shopping bags are an excellent way of marketing your company: you spread your brand’s message while taking advantage of our stellar wholesale pricing and your customers get a handy bag that increases your visibility each time they use it. 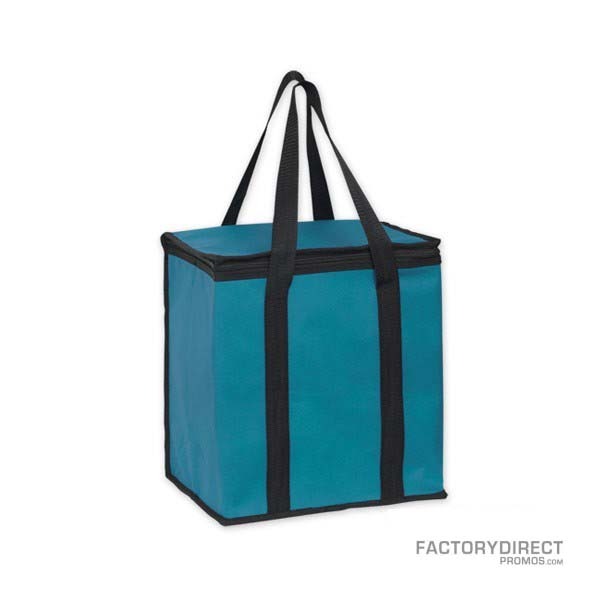 Our Eco-friendly cooler bag keeps cold items cold and hot items hot for easy transport. The bag also features polypropylene construction which is made from recycled plastic which is washable, making it great for use in a cooler. Choose from a variety of bag and imprint colors to promote your brand. Our printing is done in the USA so we can quickly turn your custom cooler bags around in 2 weeks. Look into our overseas production if you want something more specific. We can work with you to design exactly what you have in mind if you want something more unique. Select sizes, colors, and materials for the perfect bag. Overseas custom orders take a little longer, but are well worth the wait.